A large number of apps have been developed for sailors. Here are links to reviews of many of the best of them, along with related information. Pocket Nav is our favorite navigational app using raster charts (free from NOAA). 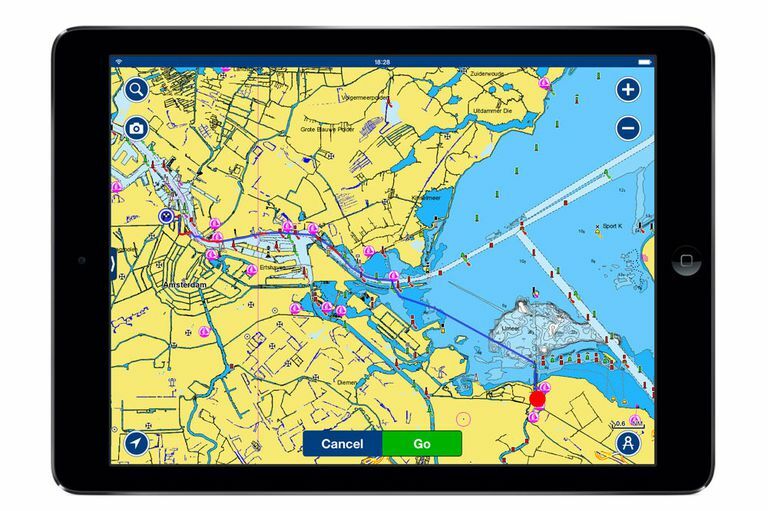 Charts and Tides is an inexpensive app that comes with American vector charts built in, along with the ActiveCaptain Cruising Guidebook. The Navionics Marine and Lakes app is popular with many sailors. The SEAiq marine navigation and plotting app is not for everyone. Aqua Map USA GPS Offline Charts may sound good but has some issues you should know about before you think about purchasing it. iSailor is a newer player in the game. Memory-Map has the fullest navigating features for Android devices. MX Mariner is another fine app using raster charts. Navionics Marine & Lakes has some interesting features and uses vector charts. Two free Android apps (initially free, at least) are Marine Charts Lite and Marine Charts HD and NutiCharts Lite, but \weI cannot recommend either for much use on the water. Here's a comparison of 5 Android apps for boat charts and navigation to help you choose the one best for you. The free Course to Steer app calculates how to steer to compensate for a current and leeway from the wind. Remember that any electronic device can fail at any time, so don’t depend on only a chart app. To be prepared, learn also to navigate with just a depth finder and a chart. GPS Long Distance Log is a logging app for Android - not a plotter but a good system for logging a voyage. When anchored, the My Anchor Watch app can help ensure you know it if your anchor is starting to drag. DragQueen Anchor Alarm is another anchoring app available for both Android and Apple devices and smartphones. Three apps - Ship Finder, Marine Traffic, and Boat Beacon - show the present location of ships on a map to aid in collision avoidance. Read a comparative review here. Boat Watch is a newer app purporting to do the same. But read the disclaimer before trusting any AIS app. Smart Chart AIS similarly shows other vessels on a chart relative to your own position and offers some other interesting features. Although not an app but free chart plotter software for laptops, OpenCPN is simply a great navigational program. For a laptop navigation and plotting program with more powerful features, do a test drive of the inexpensive Polar Navy program. Navigatrix is a free full suite of software programs running under Linux that can be run on a PC or Mac laptop, including chart plotter, weather data, and much, much more. The MarineCast weather app for boaters provides a wealth of information about present and forecast conditions. Marine Weather is a decent app for both Apple and Android devices that also includes tides, radar, and more. The Wind NOAA app provides a quick snapshot of wind information for your area. The free version of the PredictWind app for both Apple and Android devices is a good choice for planning for local weather conditions. PocketGrib is another effective app for showing wind weather forecasts in your area. There is a free Android version with limited functionality, but the Apple versions cost more than you need to pay for this information. WeatherTrack is an Apple iOS app that offers a wide range of forecast displays. Be cautious about using the Marine Weather Right Now app. AyeTides is probably the best general-purpose tide app for Apple devices. For Android devices, we like best the Tides & Currents app. Tides Planner 10 and Tide Graph are two more tide apps. The Tidal Chronoscope app looks like a classic tide watch. The Cruisers Forum app for both Apple and Android devices puts you in touch with tens of thousands of boaters who can help answer your every question. Another nice app to have at hand when sailing is the Boater's Pocket Reference app, which provides a ton of information. The Apple device SailingApp doesn’t have as much information as the Pocket Reference, but it’s still a good start for beginners. Check it out. The Apple and Android app Navigation Lights and Shapes is useful for learning about required navigational lights (and identifying the boat lights you see at night). The ColRegs Rules of the Road app for both Android and Apple teaches the rules for preventing collisions. Nautical Chart Symbols is an app that tells what many chart symbols and abbreviations mean. Another Android and iOS app of the same name, Nautical Chart Symbols, may be better for you. The app Boat Essentials-USCG Safety Gear is a rather simplistic piece of work appropriate perhaps only for very beginning boaters. The multi-part American Sailing Association ASA app defies simple categorization, but its best features are useful for learning sailing skills and information. The Safe Skipper - Safety Afloat app has lots of good information about staying safe on a boat and what to do if an emergency occurs. The Sailboat app for Android is a simple simulation and racing game. Points of Sail is a simple app for teaching sailing terms and sail positions for points of sail. SailSim is a more useful app for learning about how the sails and other sailing aspects vary according to wind and point of sail. History of Sailing is much more than just about history - it provides a basic introduction to many sailing topics for those wanting to learn the fundamentals. Sailing Flashcards is a simple app for learning the parts of a sailboat and sailing terminology. 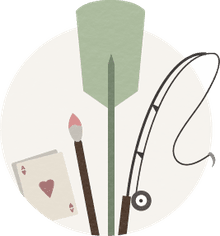 Stay away from the Nautical Books app, which just wants your money for books you can get free - read the review to learn how. America’s Cup Speed Trials is a simple racing game from the official America’s Cup folks. Tall Ships Age of Sail is a fun naval battle game with some historical and sailing realism. Sailboat Championship PRO is a sailboat racing game for iPhone and iPad that has some nice touches. 3D Sailing Simulator Regatta is a better sailboat racing game for Android devices. Little Sailor is the best sailing simulator and racing game for Apple devices. The BoatUS app is an easy way to call for a tow or to let others know where you are, showing your location on a map. Magnetic Bearing is an app that makes it easy to use your smartphone to take quick bearings on landmarks for navigation or other boats to avoid a collision. In an emergency, it may help to have an app on your phone or another device that can send a Morse code SOS light beacon into the dark to be seen by rescuers. The GPS Tracking Pro (Life 360) app for Android and iOS smartphones can help you keep track of other boaters or your kids when they go out by themselves. Need cheap connectivity for your laptop or tablet when cruising? FreedomPop’s mobile wi-fi hotspot is cheap and may be your perfect solution. If you need a waterproof case for your iPhone or want to add a GPS to your iPod Touch for using navigation apps, check out the Magellan ToughCase. The Dual XGPS150 Universal Bluetooth GPS Receiver can be used with an iPod Touch or iPad (or Android smartphone or laptop) to provide a GPS location for navigation apps. What Are Differences Between Raster and Vector Charts? What Are the Best Tides and Currents Apps for Iphone?